For the best burgers, beer and pizza, stop by the Gannett Grill & Lander Bar after a day of climbing. Often with free live music on their outdoor patio, it is a must-go for anyone visiting Lander. The Middle Fork is the place to go for breakfast and lunch. Their "from scratch" menu features crowd pleasers like eggs benedict, biscuits and gravy, cubano sandwich and many others all made from fresh ingredients. Enjoy brunch on the patio in the summer with a mimosa (made with fresh squeezed OJ)! A required stop in Lander! 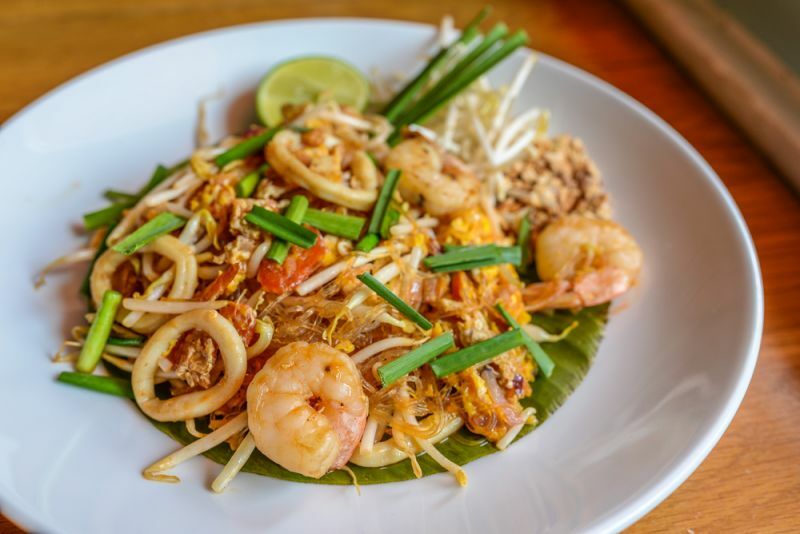 Absolutely wonderful and authentic Thai food with large portions and a great atmosphere. Located next to the Gannett Grill, Cowfish specializes in hand-cut steaks and fresh fish, and all beer is brewed on-site by the Lander Brewing Company. Cowfish offers settings for romantic candle-lit dinners as well as a casual patio dining experience.